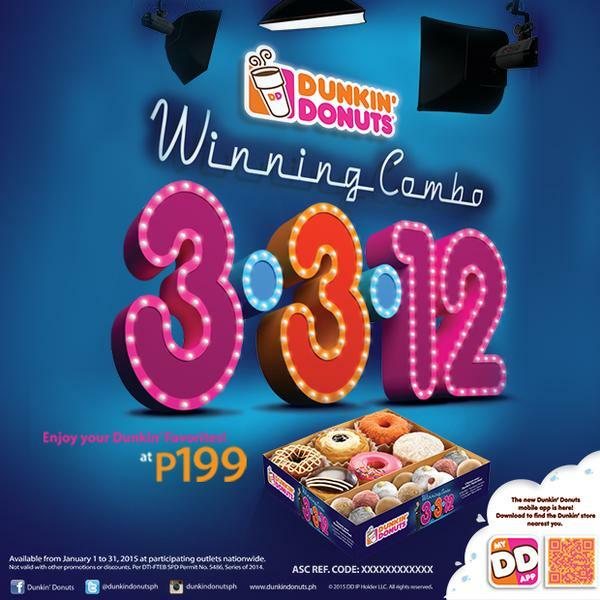 Separately, the donuts cost a total of PHP 213, so there’s a savings of PHP 14 (USD 29 cents) or 6.6% with the promo. In my opinion, that small a discount is not really a good deal. Yes I saved money but I spent for something I didn’t plan to buy in the first place. If I planned to buy two donuts (PHP 40 – 70 total) and I ended up paying 199, I overspent mutliples of my original budget. Of course, the poster and the lure of a discount enticed me to buy. Had I done my calculations first and realized that all I’ll end up saving is a measly 6.6%, I wouldn’t have proceeded with the purchase. By giving a discount, what did Dunkin’ get from the deal? I won’t be able to put a number, but the store that will certainly get the better end of the deal. Why is this so?